In the previous paper this blog set out some tentative ideas, in the hope of attracting comment more than anything else, and fortunately plenty of comment was received, all of it useful. DominicJ, Jed, Jackstaff and Steve Coltman all have the gratitude of this blogger, much was learned, many ideas rethought, and now its time to have another stab at the matter. So what is the aim of the exercise, what capability is desired, and how should it be sustained? Britain In The World – Hague’s Tokyo speech. William Hague’s second speech detailing British foreign policy goals was given in Tokyo, and it was no accident, it focused on economic goals and in particular Britain’s aim to secure the national interest by maximising British economic potential. There are many interesting parallels between Britain and Japan, and certainly Japan’s place as the worlds second largest economy and its most technologically advanced are worthy of Britain’s attention, but it is its geographic situation that is paramount. Japan is a proxy for British history in this situation. Warfighting And Peacekeeping – An idea for Hagues joined-up Foreign Policy. Given William Hague’s recent foreign policy speech it would appear that he intends for Britain to keep a premier role in international affairs, we currently have around 35,000 members of the Armed Forces deployed, and it is unlikely given the above that requirement for this commitment will decrease dramatically. Of those 35,000 personnel from all three branches of the Armed Forces ten thousand are engaged in Afghanistan, and a further five thousand are garrisoned in British overseas territories, this leaves approximately 20,000 scattered over sixty plus countries on non-operational deployments such as Germany, as well as numerous training, goodwill and peacekeeping operations in the Americas, Africa, and Asia. 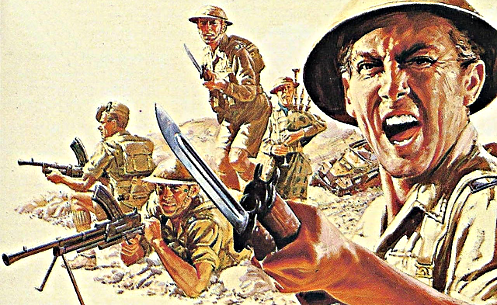 The total size of the enlisted forces numbers not more than 175,000, and given that the Defence cuts of 15% are anticipated at a time when units costs are growing at 1.7%/annum RUSI have stated that we should expect personnel numbers to fall in the order or 30,000 after the coming Defence Review. Clearly, having 35,000 members of the Armed Forces on operations and deployed will be unsustainable. Is it time to consider creating a peace-keeping Corps to work alongside a newly refocused war-fighting Force? 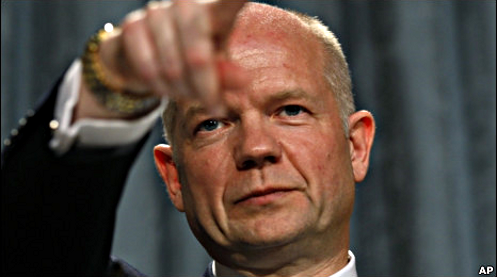 Hague made his first speech as Foreign Minister an opportunity to tell Britain, and the rest of the world, what role he believed the county should play on the world stage, and to state just how different his vision is from that which went previously. 3D Vision Surround And The Survival Of PC Gaming – Nvidia joins the party. In the previous article this blog looked at ATI’s multi-screen Eyefinity technology for gaming, stating that it was an example of the platform innovation that will keep PC Gaming healthy even against the rise of the Console, well now Nvidia has joined the party with its 3D Vision Surround, a combination of Nvidia’s 3D stereographic gaming technology with multi-screen gaming. With the two major graphics chip vendors on board we can hope for broad support for multi-screen gaming in all major games releases.